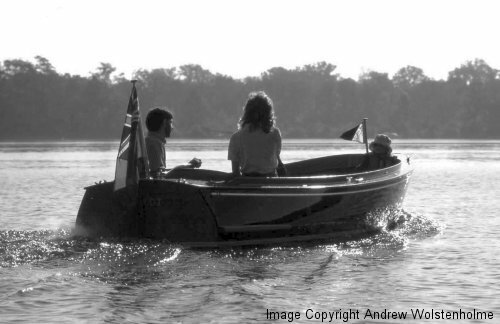 ‘Mascot’ was the first Mayfly 16 and was our family launch for a couple of years. Built by Creative Marine she is a composite version with a GRP hull and timber decks and interior, and powered by a Stuart Turner P55. The design is also available with a GRP deck unit and most of the boats built have a more environmentally friendly electric propulsion system.